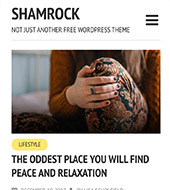 You can easily customize each aspect of the theme with our easy-to-use options. No coding knowledge required. In mobile era, you can make sure that your theme will look good on all screens - monitors, tablets and mobiles. You can change every color and font to your liking. Add your logo and branding - give your website a personal touch! Whenever we release a new version you can update the theme with a single click within your WordPress dashboard. You can quickly translate or change all the text with an easy-to-use translation panel provided in theme options. Arabic? No problem. 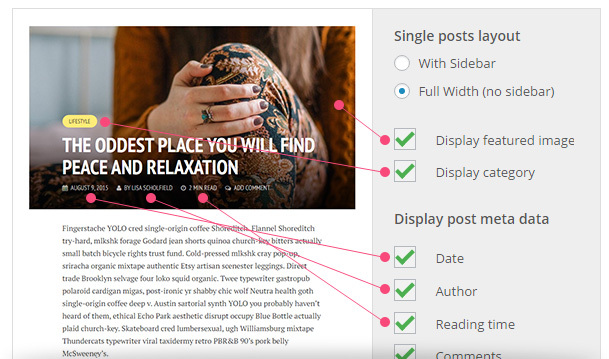 Change your theme to right-to-left reading oriented website with a single click. Each theme is built with best WordPress coding practises so you can make sure it will work with your favorite plugins. Our themes are crafted to ensure good search engine visibility and a great experience for your visitors! Each theme is compatible with all modern browsers — Chrome, Firefox, Safari & IE8+. Yes, it really works in IE. Import the theme demo content and get a website very similar to our demo with a single click. Nobody wants to get lost so you get full documentation to make sure you can setup the theme step by step. Do you have an issue, a doubt, or need an opinion? No problem, if you ever get stuck, we are here to help! Meks’ Throne theme saved me thousands of dollars! I’d tried countless themes, but could never get them to look and work the way I wanted them to. Not only does it look better than any other theme I’ve used, but more importantly – for me at least – it couldn’t have been easier to set-up and configure. I stumbled upon Meks’ themes and was blown away at the flexibility, the ease of setup, and the high-quality look of their designs. As a photographer and writer, I am very particular to how my work is displayed but ending up frustrated because I wasn’t easily able to change things to look the way I wanted when using other themes. Now I can proudly focus on creating great content because I know my site design is solid. Working with hundreds of WordPress themes I can easily say that Meks provide the best experience in any way. Easy to use, clean, good support, unlimited options yet very well organized within the theme panel and all their designs look actually really great. Also, the code is very clean and all my websites running Meks themes are faster than light! I’m more than happy to recommend working with these guys. I have recommended this theme to everyone I know building a site to stream videos. It’s super easy to use, no bugs and the customer support is fast, top notch and friendly. I enjoyed building the site so much, I am going to build another one with the same template! Thanks, guys. With Gridlove, Meks built a beautiful theme that combines simple, clean layouts with enough options and potential for customization to allow us to make the template our own. At MobiLoud we help WordPress site owners turn their websites into native apps, and we couldn’t be happier with how Gridlove and all other Meks themes behave on mobile devices. We recommend them to all our clients! Gridlove won our hearts from the beginning with its intuitive setup and appealing design. The theme easily accommodated design and branding elements from our main website. Plus, our web team found Meks customer support to be super-responsive whenever we were confused or needed a quick fix. Themes from Meks are both simple to set up, and easily customized down to the smallest details. Plus, the full-featured trial allows you to make sure it meets your needs before purchasing. The Voice theme is a joy to work with! 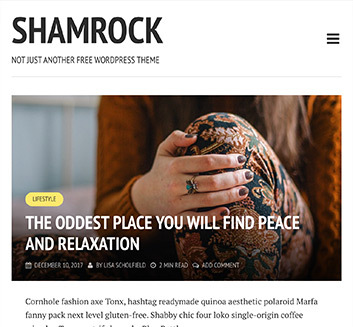 It’s a fast, responsive theme that looks great on all devices. It’s very easy to setup and customize, and the Meks support team is second to none. I would definitely recommend this theme, and will be using Meks themes for all my future projects. It is very easy to work with and it has a clean, logical and streamlined appearance which makes my blog look really professional. I will be buying Herald next for a new blog I am currently developing. We were looking for a theme for a news site with a clean design, the option for full-width picture and an easy structure for the daily work. Pinhole is the perfect theme for photographers and artists. Easy to use, clean and minimalist. I love to work with it! I was looking for a theme that I could create a highly authoritative website with, that was easy to work with and looks great – Herald does this and even more. We’ve had great support on every (silly) question we’ve asked! I am delighted with my choice! 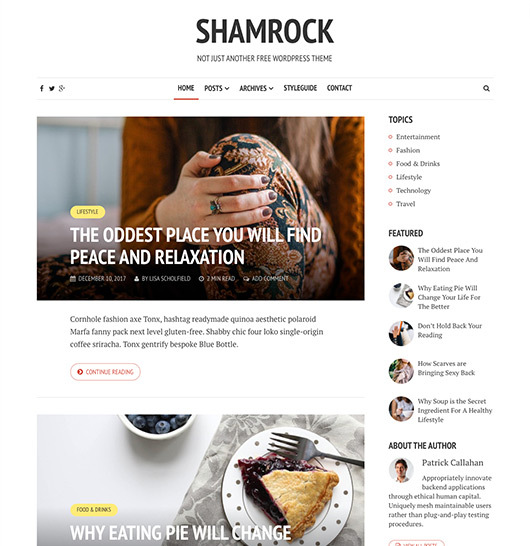 In my choice of WordPress template, it was important that the design was slick, user-friendly, and with options to easily modify the layout. Throne by Meks fulfills these criteria. I highly recommend this theme! We’ve recently updated our website to use the Gridlove theme. It covers all our needs and most importantly those of our advertisers. When we reported a small bug we immediately received a reply, even though the whole team from Meks was at WordCamp Europe. Speed, responsiveness, and easy-of-use were my top priorities with all the emphasis search engines are placing on speed and being mobile friendly. It has in one place all of the important features and options you need to create a successful website on WordPress. Not only is it well coded and highly customizable, it easily allows you to achieve a responsive and clean looking blog. Kudos also goes to their excellent online support. I especially love how it is incredibly versatile to suit anyone’s tastes with global color changes so you don’t have to stick to one or two particular colors schemes. 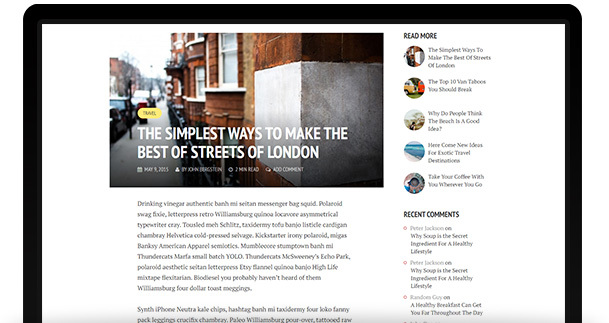 Before choosing Herald I looked very hard to find the best solution for the redesign of my old website. 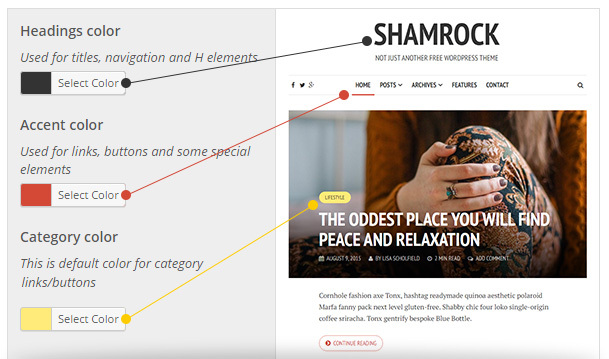 I tried so many different WordPress themes, but none completely fit my needs until I discovered Herald! 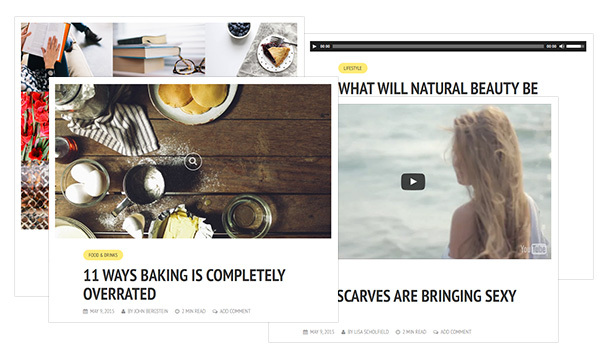 This is by far the best theme I’ve used in my blogging career! I was so impressed with all the features included in the Herald theme. A beautiful work, thank you! A great, simple and effective theme! The sidebar is important on a website, and the Voice theme offers unlimited sidebars, many options, and the code is very clean as well. Thanks, team Meks! We were easily able to create a child theme and make necessary changes. Will recommend it to all our blog readers!